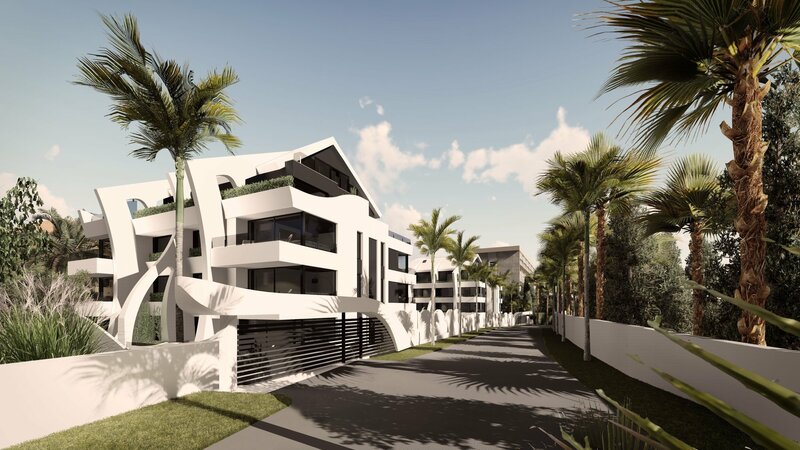 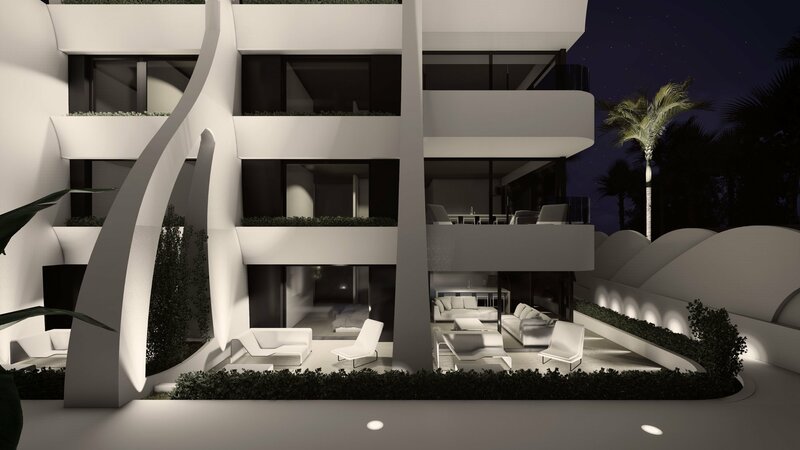 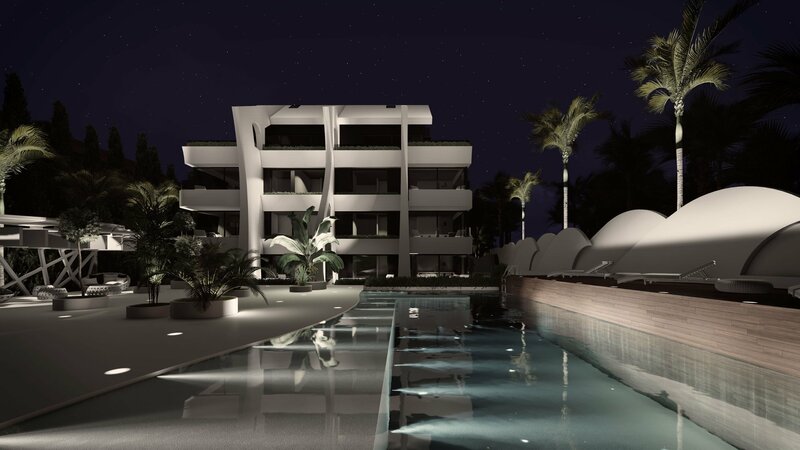 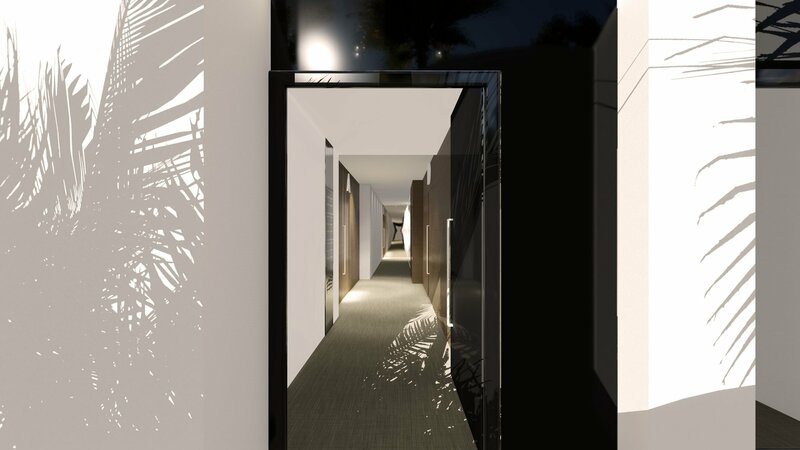 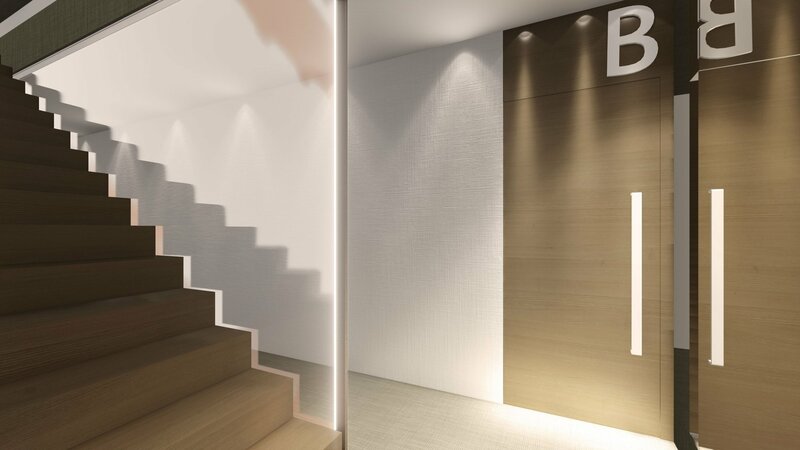 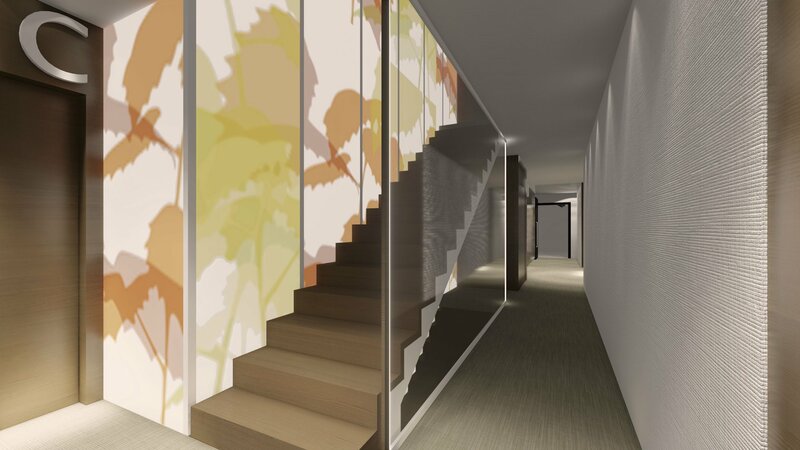 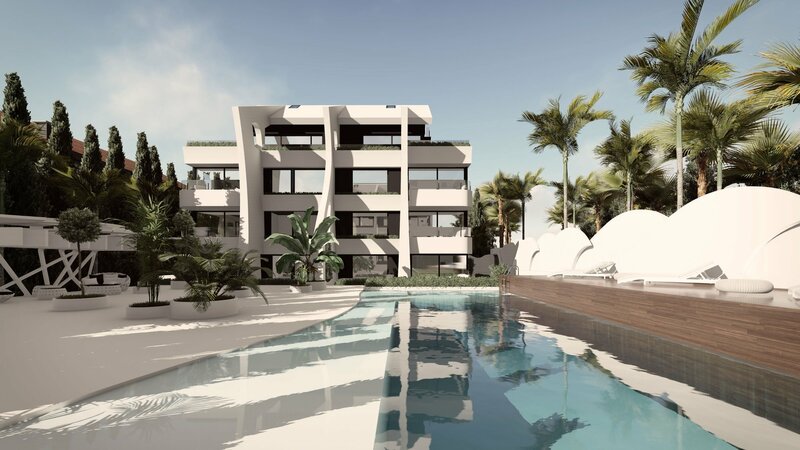 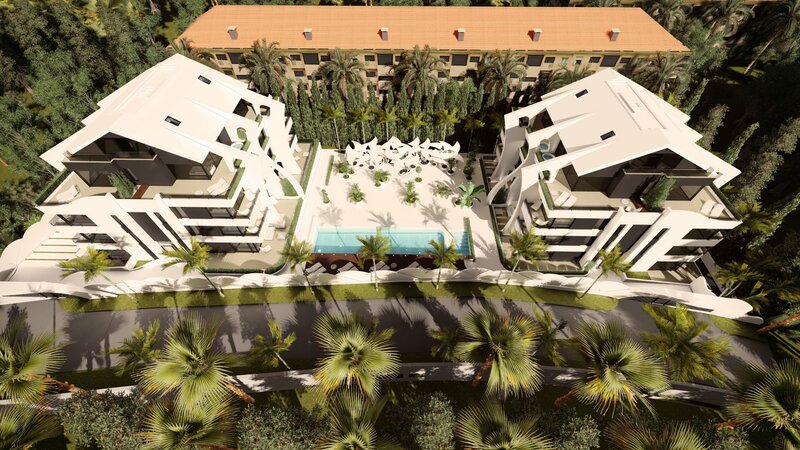 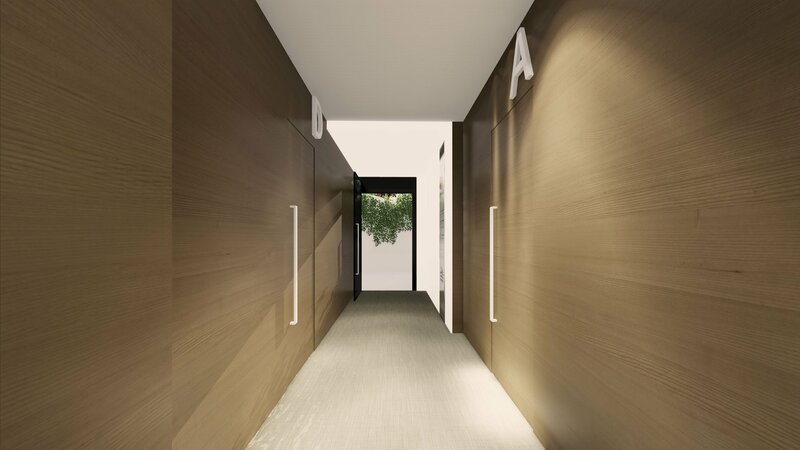 A new private and exceptional development just a few steps from Marbella's best sandy beaches. 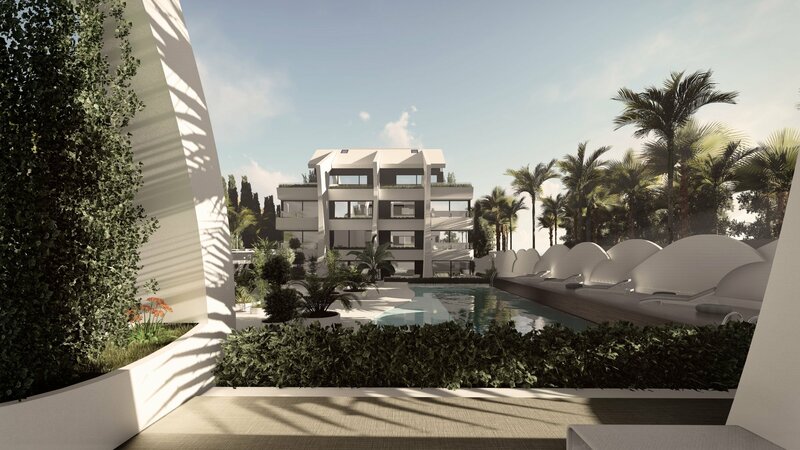 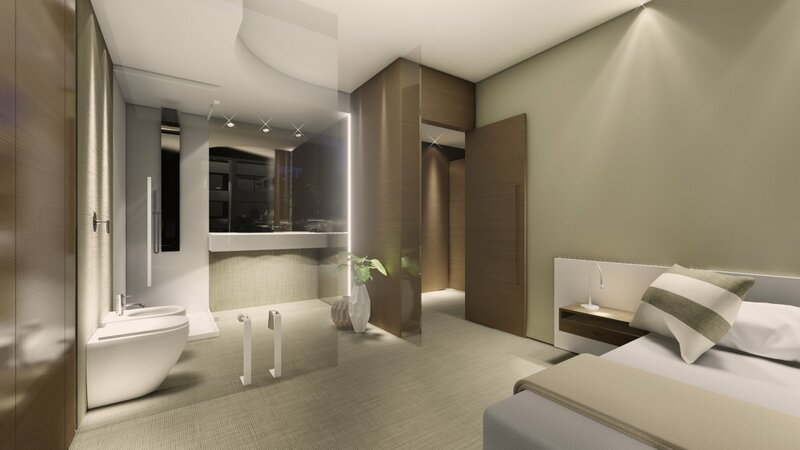 The development comprises 23 exclusive two bedrooms apartments and 4 luxury, two and three bedrooms, penthouses with spacious terraces and jacuzzi. 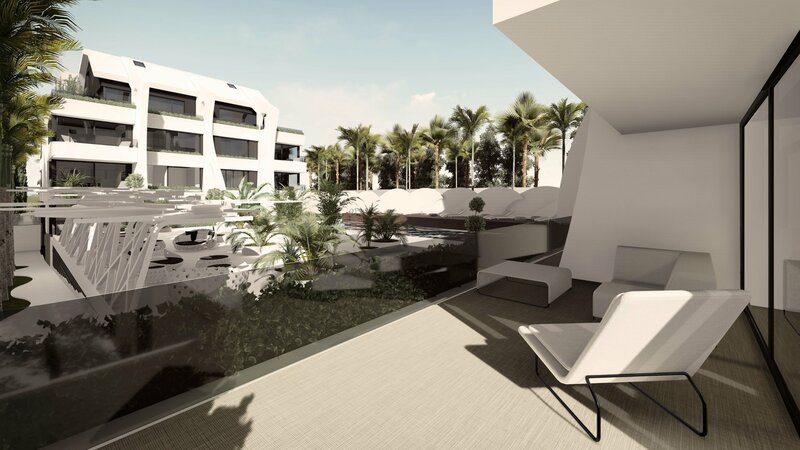 The ground-floor apartments have extended terraces, and two of them in block B include private garden. 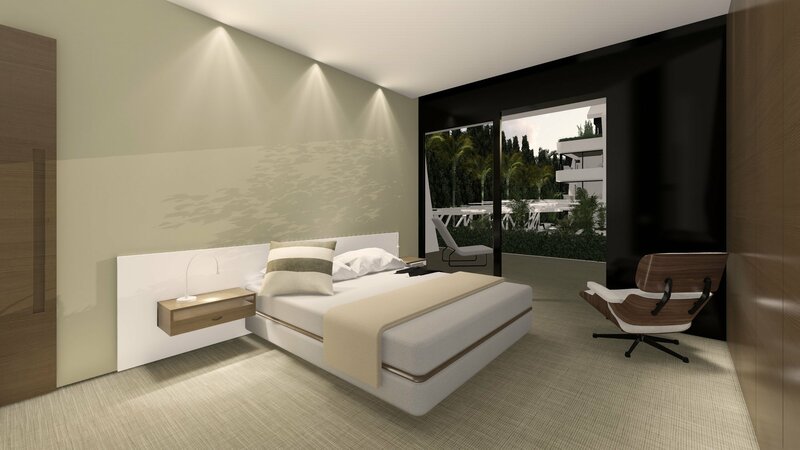 Energy-efficient homes equipped with smart home technology, stylish and spacious interiors with a bright, open floor plan. 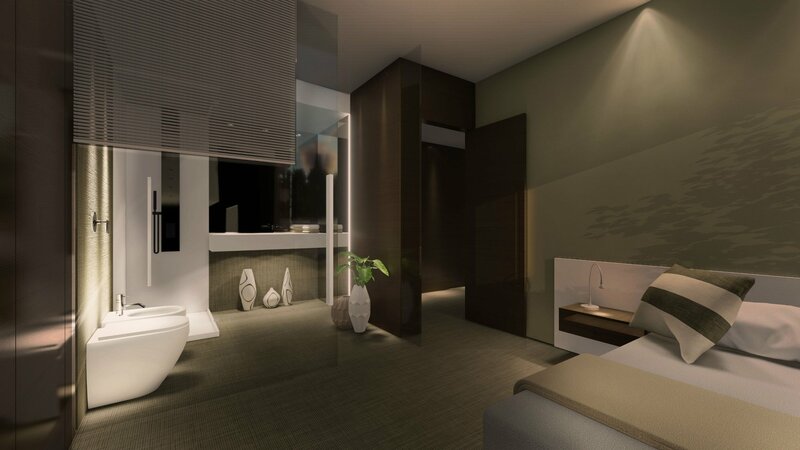 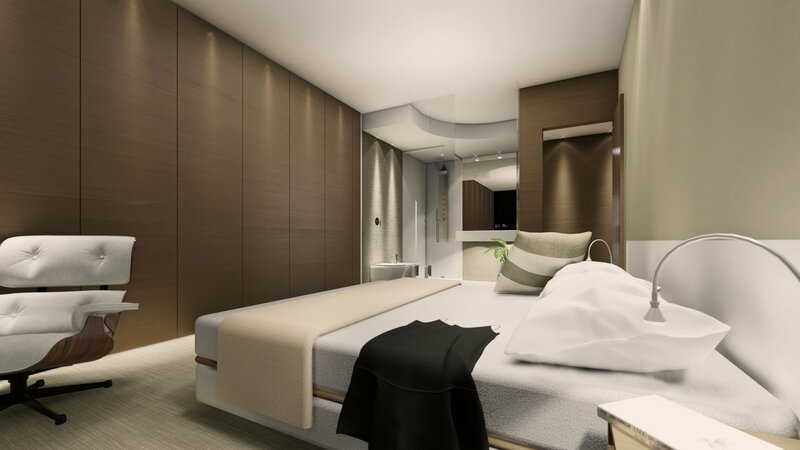 The interiors are fitted with the most innovative and superior quality materials. 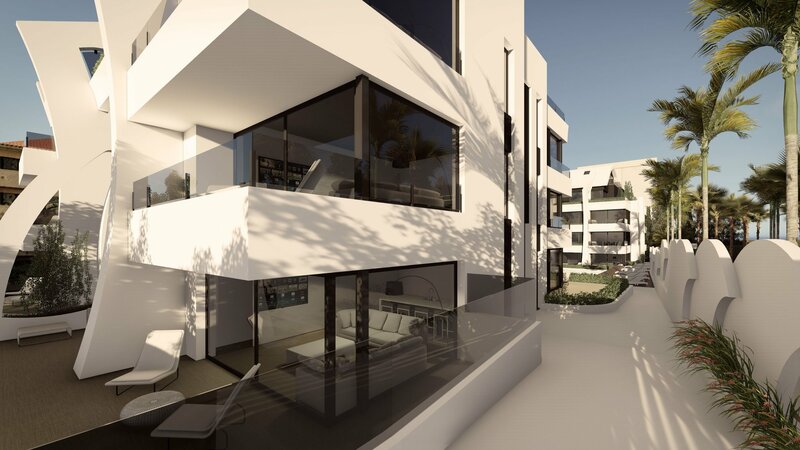 The entire property including external terraces are fitted throughout with the latest Italian design knitted patterned gres ceramic flooring. 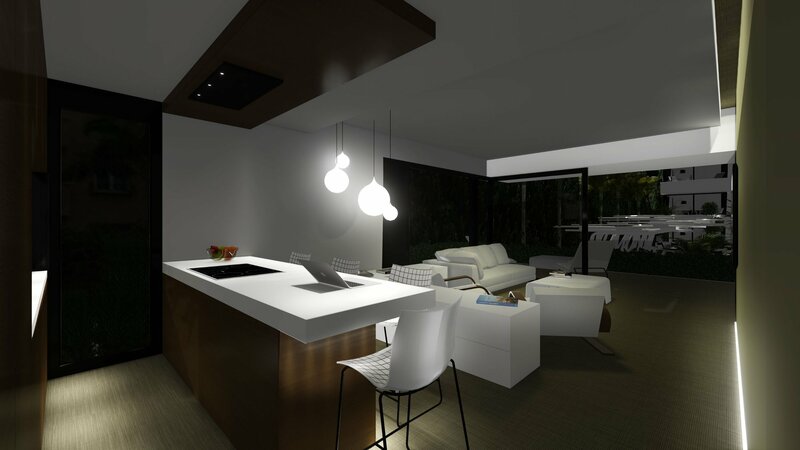 Open plan living spaces with exclusive design, American style kitchen lay out, fully fitted and equipped with the best brands electric appliances covered with seamless laminated finishes; continuous worktop with integrated sink bowl both made from solid high resistant and pore-less mineral; quality chromed mixer taps. 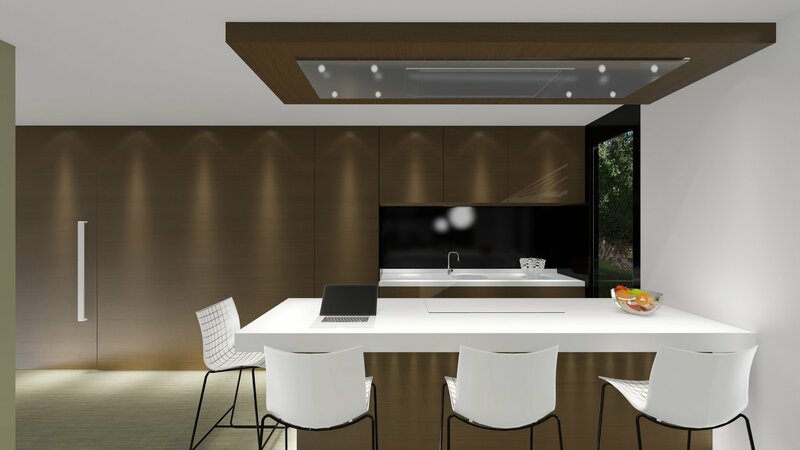 Unique Island-Dining countertop made of next generation high resistant solid mineral with Induction plate fitted in the worktop and kitchen extractor hood, all the best brands.